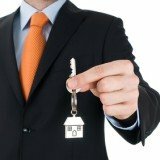 Learn where to find property manager jobs online. Discover which are the most popular property management job search engines today. Monster's fanciful name is well recognized among job seekers all over the world. This is hardly surprising given that Monster.com is the first job search super site and still remains as one of the most popular with over 1 million job listings at any one time. Given the sheer number of job listings available on Monster, this website should be your first choice if you intend to just sign up with one job search site. You can search property manager jobs, post your resumes and interact with employers online. If you are a casual user, you will appreciate the fact that you can still browse job listings without having to register for an account. One thing we really like about Monster.com is that it allows you to block your property manager resume from being seen by certain companies. This feature is extremely handy if you want to switch companies but don't want your current employers to find out that you're seeking greener pastures elsewhere. Many Monster users have highly recommended its popular networking feature and message boards where you can ask questions and share your own experience with other people in the property management industry. While searching for property management jobs in Monster.com, we did find a few spammy job postings by middlemen and job agencies. While this lowers the quality of Monster's search results, you can filter out a good deal of the spam by using their advanced search features. CareerBuilder.com is the largest job website in the United States and Canada with over 20 million job seekers and employers visiting the website every month. This makes it an excellent place for you to get property manager jobs in North America. You can search for property management jobs according to location, job category, job type (part time/full time) and company. On top of that, you can also prepare a few different versions of your resumes and cover letters to apply for property management jobs. CareerBuilder.com is a user friendly website with an extensive help section. Registering a new account, preparing your property manager resume and finding potential employers is a breeze even for first time users. What we really like about CareerBuilder.com is how they make an effort to provide job hunting resources and help for their users. You can read their informative articles on how to find property manager jobs, writing resumes, getting hired, being promoted and office politics. They will also keep you updated on the latest career fairs that are coming to your area. While CareerBuilder is a well established in the United States and Canada, its jobs postings for other countries are seriously lacking. You don't live in North America, you will be much better spending your time on the other job search websites.